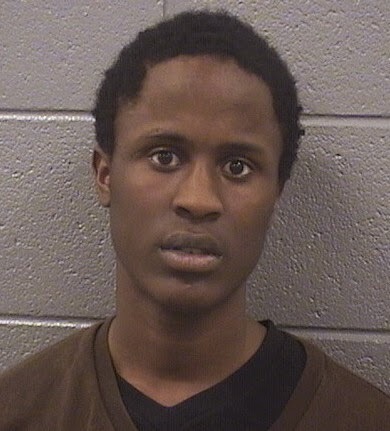 An 18-year-old Calumet City man faces charges of burglary, unlawful use of a weapon, and possession of burglary tools after police found him inside an apartment building in the 1300 block of Waveland. Officers went to the location at 2:30PM on March 12 after a motorist reported seeing a man use a pry bar to force his way through the main door. On-scene, cops say they saw Anthony Clark emerge from a stairwell dressed in a black winter hat and winter gloves. It was 57-degrees that afternoon. Police searched Clark and allegedly found a stun gun in his pocket and a pry bar in his “immediate area.” Bail is set at $50,000. • A Boystown man called police at 5:55 this morning to report seeing an unknown person walking out of his apartment in the 900 block of Cornelia. The victim described the prowler only as having worn a dark jacket and white hoodie. • 3400 block of Marshfield. Forcible entry burglary. Believed to have occurred between 8AM and noon on Saturday, March 21. • 800 block of Sheridan. Burglars bent a wrought iron gate and kicked in the glass door to remove the cash register and petty cash from a mom & pop convenience store. Discovered on the morning of Tuesday, March 24. • 1100 block of Addison. A senior citizen said a man driving a red pick-up truck came to her door looking for a parking space. While she showed him to a spot in back, someone else entered her front door and took jewelry from her bedroom. Offenders were described as two Hispanic men in their 20’s. Monday, March 16, at 12:20PM. • 3400 Lake Shore Drive. Burglary via unlawful entry to a condominium residence. Reported on Wednesday, March 25, at 3:30PM. • 3500 block of Lakewood. Burglars gained entry by breaking through a rear porch window, then stole “technical stuff” such as computers. Reported on Wednesday, March 25, at 5:40PM. • 900 block of Dakin. Apartment burglary reported at 9AM on March 11. • 3400 block of Lake Shore Drive. Forcible entry to an apartment. Reported at 11AM March 19. • 826 W Belmont. Discovered 6:50PM on March 24.